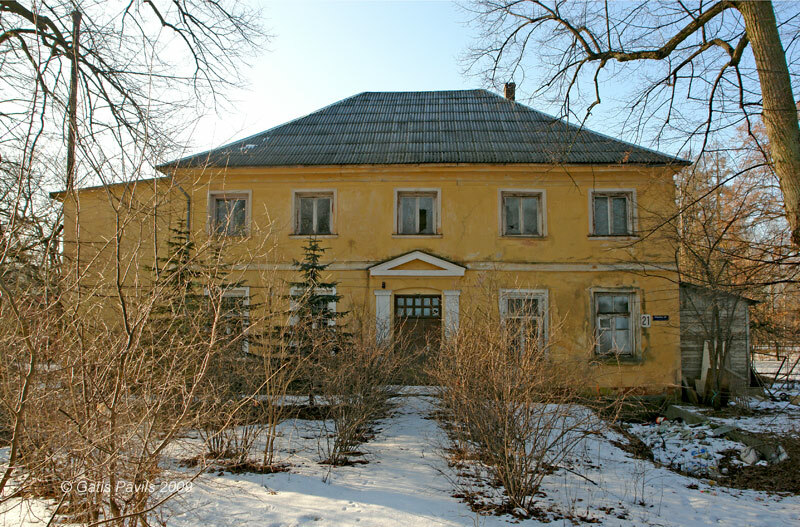 Initially Ebelmuiza manor was established as a summer residence of affluent Riga householder which was located comparatively far - 4,4 kilometres - from the centre of Riga. 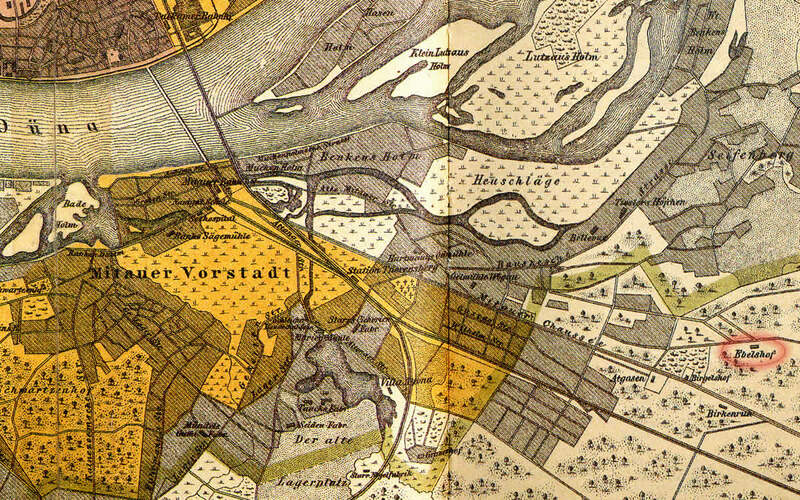 Up to the second half of 18th century there were vast sandy flats and swampy meadows. In 1799 owner of manor Justus Blankenhagen sold it to the merchant of Great Guild and elder of Blackheads Joachim Ebel. It is named in the name of Ebel since then. Ebel created here a park, built greenhouse and gazebo and after some time Ebel manor became very popular resting-place for riga householders. It is possible that this is the same Ermitage (from French - lonely place) manor - reference No 1 mentions such a manor next to Spulgas street. In the drawing by Brotze (3.) 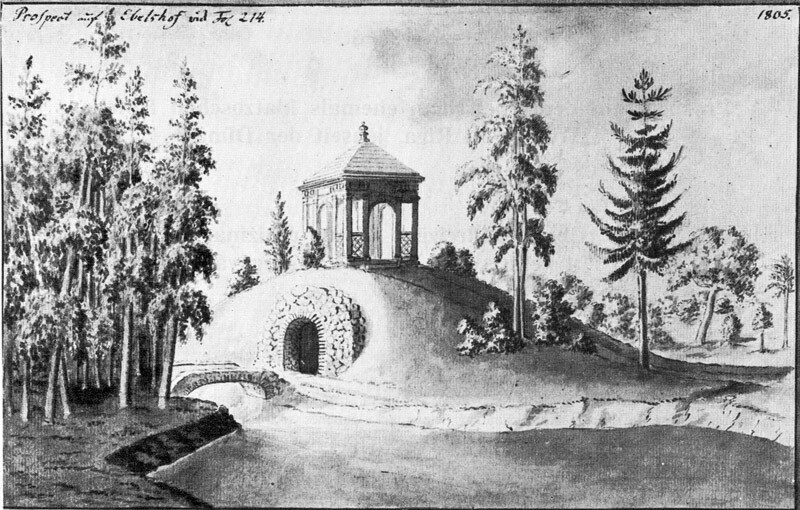 gazebo of Ebelmuiza has got roof of wooden planks. Manor house itself in the drawings by Brotze (1805) has been shown as ornate building with two floors and tiled roof. There has been preserved also location of pavilion. 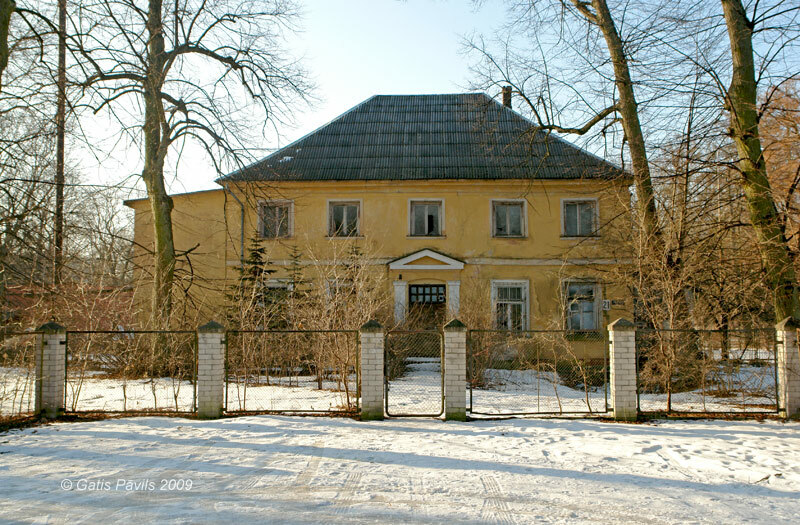 Manor house itself is endangered - it is semi-abandoned. 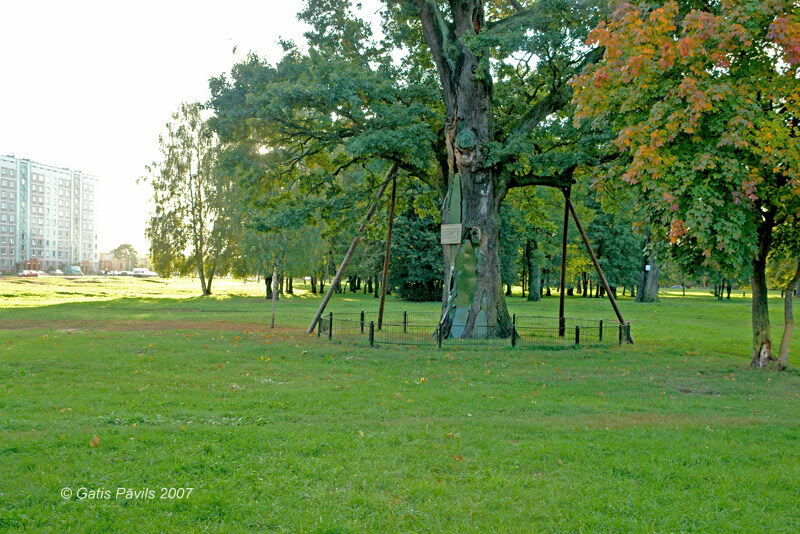 Noble oak in Ebelmuiza park. 2009.02.01. 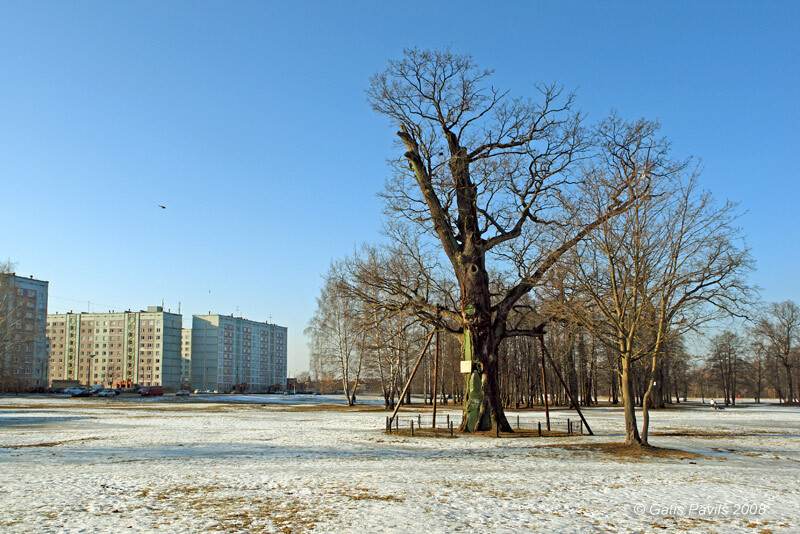 Noble oak in Ebelmuiza park. 2007.09.19. 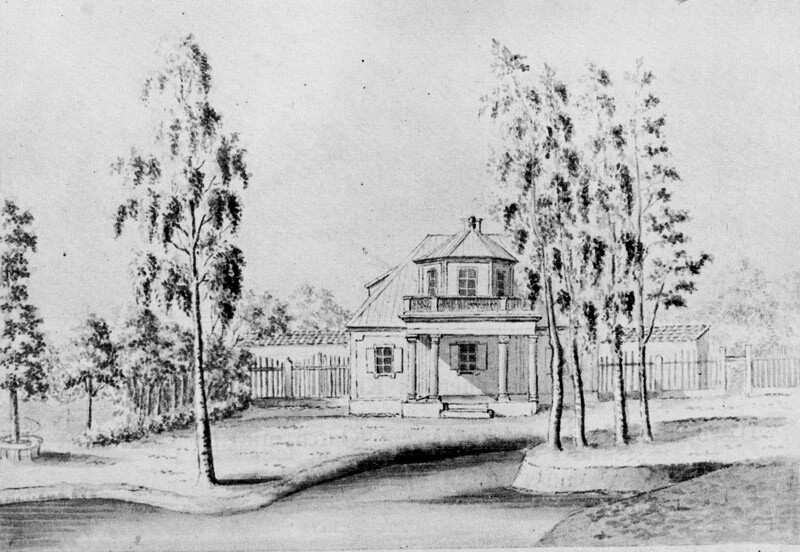 Ebelmuiza manor house, by J.C.Brotze. Early 19th c.? Koka Rīga, Rīga, Neputns, 2001, 91., 191. lpp.